India is already a member of the exclusive club of obese nations, with around 5% of its population affected with this malady. The IT and tech workforce takes a large and unhealthy slice of this 5%. Definitely, you don’t want to be one of them. In this post, I’m sharing with you a few things that we provide at Evoma to our startup and SME businesses and entrepreneurs, that helps keep them physically and mentally fit and strong. According to a study by a team of researchers from the University of Bristol and Leeds Metropolitan University, workers who spend 30-60 minutes exercising at lunch see an average 15 percent increase in their performance level. On the days they exercised, sixty percent of employees reported an improvement in time management skills, mental performance, and the ability to meet deadlines. What is the first thing that comes to your mind when you think of your office and workplace? Maybe it’s the ambience, your colleagues, boss, the location, food, and so forth. But health and fitness is usually not on this list. Our mental alertness is directly related to our physical regimen and nowhere else is this implication more relevant than to our workplace performance. There is scientific evidence to prove that exercise during the regular work hours spikes workplace performance. The study on the influence of daytime exercise, by Leeds Metropolitan University, among office workers with access to a company gym, reports employees managing their time more effectively, increasing their productivity, better their relationship with colleagues and going back home a satisfied person. Improve your health and fitness at any time during the day or night, whenever you have some free time, under the expert guidance of our ACE certified Instructors. 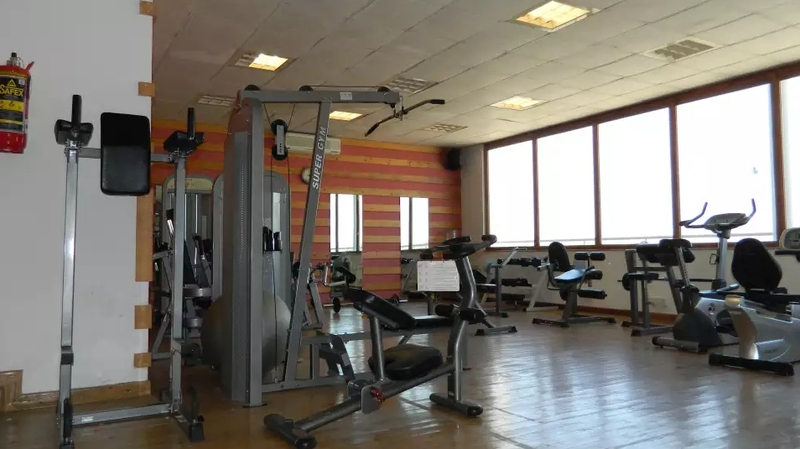 The gym, designed to deliver the ultimate fitness experience, will also help you find inner strength and harmony. Outdoor Swimming Pool at Evoma OMR. Take a refreshing break and swim your way to health in the large and scenic outdoor pool at Evoma. Swimming is a low-impact activity that can be continued for a lifetime with many physical and mental health benefits that will do wonders for your work life, energy levels and productivity. The most relaxing and tranquil form of exercise. Refreshes your mind and thoughts. Helps develop a sense of self-worth. Low impact therapy for many known conditions. 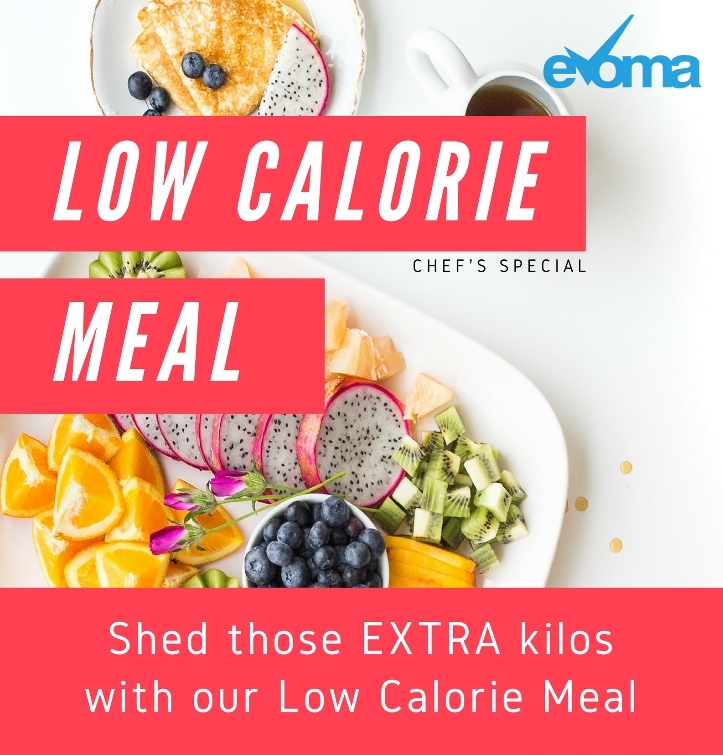 Low-Calorie Specials from Chef Zaki at Evoma. Exercise and following a healthy diet plan is the answer out. As this article has shown; you can work-out during work hours, but do you have time to plan & prepare a low-calorie meal plan. 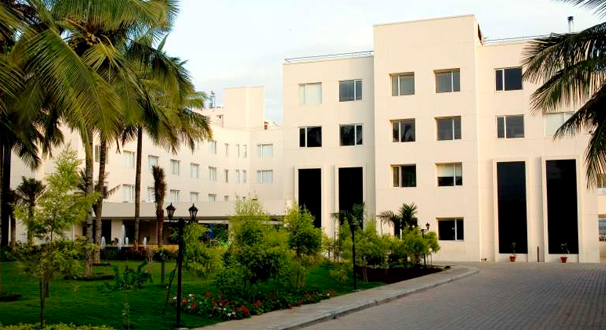 Lastly, The Palms at Evoma is a lush green poolside garden and lawn spread across an acre of land, probably one of the few Bangalore workspaces where you get to commune with mother nature in the midst of a bustling city. Relax, take off your shoes and stroll on the grass, do Pranayama or whatever other techniques you use to de-stress. 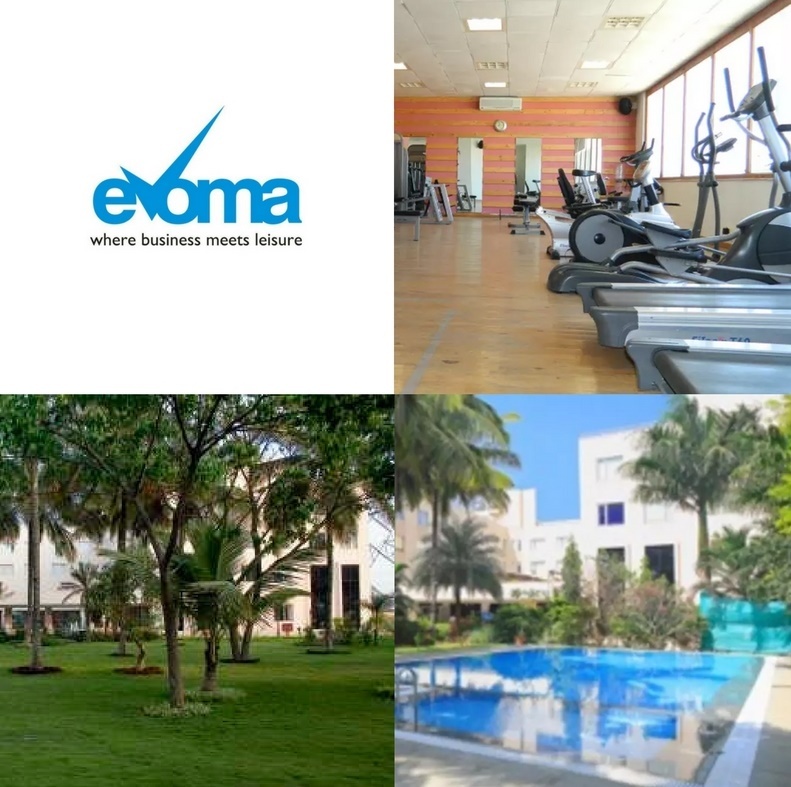 You have all these health and fitness facilities and lots more at Evoma – dining, recreation, sports and entertainment. But don’t get so caught up in it that you become a fitness freak and forget about your business and work. We want you to be healthy and successful startups.